If you knit or crochet, then chances are you are going to make some of your Christmas, birthday and other special occasion gifts. Making gifts for the holiday season means starting early and choosing patterns that are easy to make and can be whipped up fairly quickly. I often get requests for specific handmade items each year just before Christmas, and I enjoy making them. 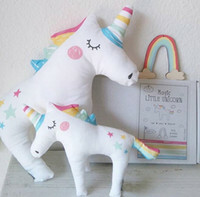 Handmade gifts are made with love and a lot of thought goes into choosing the pattern, the yarn and the color of yarn for the intended recipient. Plus, they do take time to create and it’s a kind gesture that you’re special enough to make something handmade. This year, because I’m crunched for time, I decided to make a whole bunch of simple slippers for family and friends that I make in a day. I’ve spent hours and hours looking for various free patterns on the web and perusing all my craft books at home. I have tons of cool slipper patterns at home, but many of them take several days to make and require some detail work. If I’m in a hurry, I try to find a pattern that is simple and doesn’t require any special stitches or yarn. Quite often there are free patterns on skeins of yarn, and this where I found the pattern to make these uncomplicated slippers. I had a couple of skeins of phentex hanging around and the labels had several different slipper patterns on them. With only knit and purl stitches, even beginners can make these without any problems. You don’t have to make them with phentex, you can use any worsted weight yarn. But, just remember that basic yarn is not intended to be walked on, so you’ll blow a hole or two in no time. 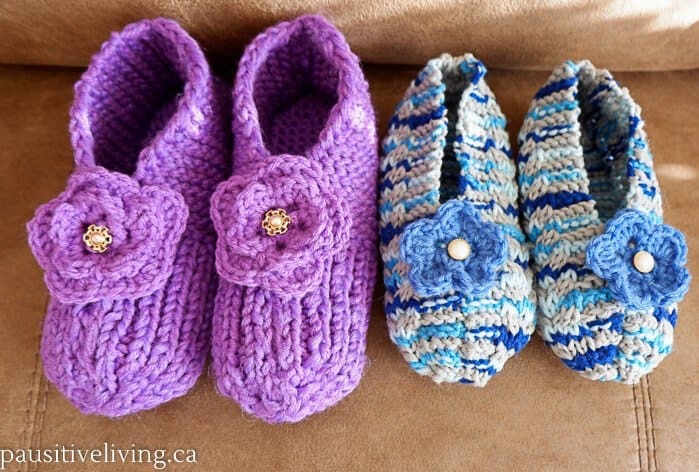 To embellish your slippers, you can use old buttons, or crochet a flower and sew it on as I did. I’ve made a few pairs already, but have eight more to make. I’ve memorized the pattern already, so I’m making them fairly fast. They’re cute, cozy, and don’t use too much yarn and they’re handmade. What could be a better gift? so beautiful. i wish i could make them. My grandmother used to make these for everyone in the family, this would be our gift from them, but they were nice and comfy!! Yes, these slippers bring back a lot of memories too. Sound like you had a lovely grandmother. These are cute. Which brand of yarn did you find this pattern on? These look comfy! I love the blue ones. Pretty! love the purple ones! my grandmother used to make us socks and slippers, sent each Christmas from Europe!